Home Central has a complete selection of electrical supplies. Whether you need to replace some batteries or wire a whole house, we have the products you need. By ordering many items directly from the manufacturer our building supplies products store can provide competitively priced electrical products for the largest projects. Skip the trip to the big box stores to connect your home electronics or upgrade your digital antenna; we stock a wide variety of audio visual components and multiple options in digital reception. While we save local homeowners the hassle of running to the large retail electronics stores, we also keep a wide product assortment for our commercial clientele. Bulk packs of wire connectors, EMT connectors by the 10-pack and building wire by the pallet, we are prepared for every job. We also realize that electrical repairs can be a daunting project so we have knowledgeable staff members dedicated to walking you through your next do-it-yourself project. 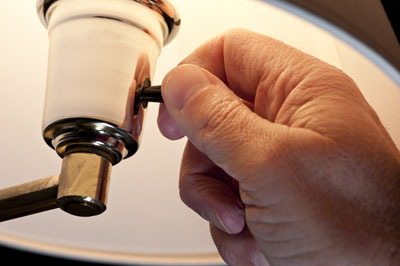 We can guide you through rewiring a lamp or installing a new ceiling fan. Our lighting display can show you endless possibilities for lighting your home or we can special order hundreds of different fixtures. Quality is especially important when it comes to the safety of your electrical system and we search out the best products for your job. Keeping safety in mind we are always listening to the local electricians to see what products they like, what they want and what could make their job easier. This dialogue with the pros allows us to provide the best and most innovative products to do-it-yourselves. So if your pipes burst, or you want to get that new stove installed before the frost sets in, stop in to any of our locations for all the help you need. If you can’t find what you need on our shelf, we’ll get it for you! Or save time and money with True Value’s ship to store program.